James Madison led one of the most influential and prolific lives in American history, and his storyвЂ”although all too often overshadowed by his more celebrated contemporariesвЂ”is integral to that of the nation. Madison helped to shape our country as perhaps no other Founder: collaborating on the Federalist Papers and the Bill of Rights, resisting government overreach by assembling one of the nationвЂ™s first political parties (the Republicans, who became todayвЂ™s Democrats), and taking to the battlefield during the War of 1812, becoming the last president to lead troops in combat. 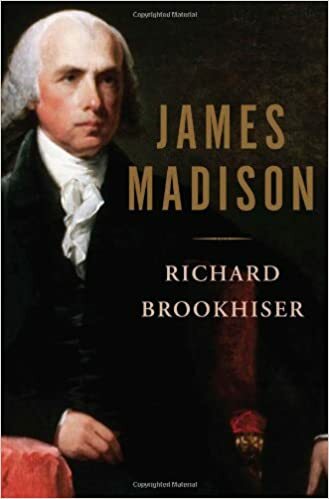 In this penetrating biography, eminent historian Richard Brookhiser presents a vivid portrait of the вЂњFather of the Constitution,вЂќ an accomplished yet humble statesman who nourished AmericansвЂ™ fledgling liberty and vigorously defended the laws that have preserved it to this day.